Supply and demand are but two of the chief ingredients to a stamp’s value. The condition of the stamp, including its grade, is perhaps the most important factor. We are not speaking here of those ultra rare or unique items which can only be found in a somewhat inferior condition. On certain issues, a collector seeking a sound, very fine or better example might have a very long wait, What concerns us are the stamps that we all seek to fill those empty album spaces. In this three-part mini-series we’ll briefly address those three R’s: Repaired, Regummed and Reperforated stamps. Let’s begin by talking about some of those repaired stamps and how to detect them. One type of stamp that we come in contact with quite frequently is the thinned stamp and the thinned stamp that has been repaired. A thinned stamp is one that is missing some paper from its back, perhaps just the size of a pinhead. This results in the affected area being somewhat thinner than the rest of the stamp’s paper. A damage of this sort is most commonly caused by an improper hinge removal. 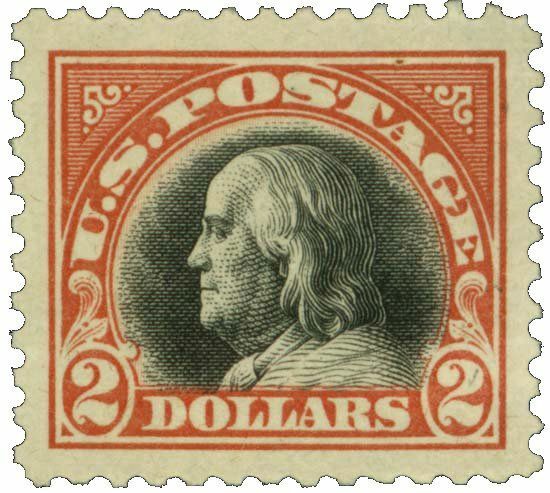 A thin on the back of the stamp can not usually be observed from the face side. One way to check for a thin is to hold the back of the stamp to a light source. An area that shows more translucency than other areas of the paper will most likely be a thinned area. This method works only when there is an obvious thin. It will not pick up a shallow or minute thin.The best method for determining if your stamp is thinned is to place it face down in a black watermark tray and spread some watermark fluid over the stamp. This procedure will reveal the thin to be a dark patch. Now that we know how to detect a thinned stamp, let’s see how to identify a repaired thin. A thin is commonly repaired by adding a pulp-like solution to the thinned area of the back of the stamp. When this mixture has completely dried, the stamp is then brushed or sanded very gingerly until the affected area is as level as the rest of the stamp. Dipping is again used to detect this chicanery. The stamp when covered with fluid will show the repaired area to be much lighter as it takes longer for the fluid to absorb. Pass on the purchase of such a stamp unless you choose to purchase such an example at a greatly reduced price. 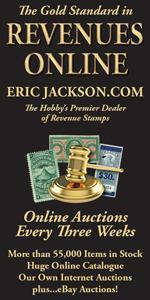 Keep in mind that most dealers will not pay very much, in relation to Catalogue value, for a damaged stamp. Other areas of concern are creased and torn stamps. Sometimes these can be observed with the naked eye or 5x or 10x magnification. Oftentimes a very small crease or tear will go undetected. The easy solution, once again, is dipping in watermark fluid. A tear will appear as a slightly irregular, dark line that begins at one edge of the stamp and travels into the body of the stamp. A crease, on the other hand, will show up in fluid as a dark, somewhat straight line that travels from one edge of the stamp to the opposite edge. If you do suspect a crease, look very carefully at the dipped stamp. A slight crease or a pressed-out crease will appear much lighter than a heavier crease. As with the thins, if in doubt dip again. One not so obviously detected repair is the expert rebacking of a stamp. This is a major undertaking by the faker and will normally be found only on those rare or expensive stamps. The most efficient way to detect a rebacked stamp is by filling your watermark tray with fluid and placing the stamp in it face down. Unlike a normal stamp that will absorb the fluid very quickly and turn black in an instant, a rebacked stamp will start out by staying “white” and only slowly darkening from edge to center. A rebacked stamp is almost always Reperforated and we’’ discuss the detection of reperforated stamps in Part 3 of our talks. Next time out we’ll discuss the regumming of stamps.